Dental sealants have been used largely since the 1960s as a protective tool in dentistry, due to their effective shielding abilities. According to the American Academy of Pediatric Dentistry (AAPD), nine out of ten cavities in school aged children form in the deep pits and crevices of the teeth. Simply put, sealants aid in protecting the biting surfaces of the teeth and keep cavities from occurring. Sealing children’s teeth keeps bacteria from adhering to surface or down into the grooves of the teeth, which in turn prevents tooth decay and makes the teeth easier to clean. 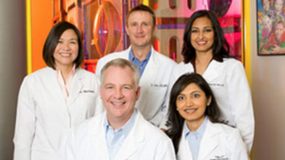 Our dental topics page provides other information on oral hygiene during pediatric dentistry. Specifically, dental sealants are thin coatings made of plastic that are typically painted on teeth in a liquid form in the dentist’s office. The liquid sealant is bonded to the teeth to form a protective coating. Although traditionally sealants have been used on the permanent molars in the back of the mouth, the American Academy of Pediatric Dentistry (AAPD) promotes the use of sealants on other teeth, including non-molar baby and permanent teeth. Dental sealant application is simple, quick, painless, and is usually done during routine check ups and cleaning visits, if needed. First the teeth are cleaned, dried, and isolated with cotton rolls in order to keep them from getting wet again before the sealant application. Each tooth is sealed individually. A conditioning gel is paced on the tooth in order to prepare it for bonding. The conditioning gel is then rinsed off, and the tooth is once again dried. At this point, the tooth is ready to accept the sealant. Then the flowable resin sealant material is applied to the deep pits and fissures in the chewing surfaces of the tooth using a specific applicator brush. A special light is used to cure and bond the sealant material to the enamel surface of the tooth, in order to prevent microscopic bacteria that cause cavities to form in the deep pits and grooves of teeth. Dental sealants are extremely safe and effective in helping maintain your child’s optimal oral health. Dental sealants are not only a protective treatment but a cost effective one as well. 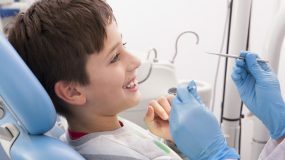 Shielding your child’s teeth from bacteria that cause tooth decay, dental sealants are both safe and preventive in keeping your child from needing more comprehensive and costly restorative dental treatment in the future. 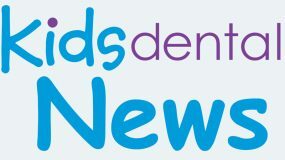 Why Kids Need Dental Sealants? Due to the way the teeth are formed, the biting surfaces of all back teeth, as well as some other teeth, have deep grooves and fissures in them. It is easy for bacteria collect within these cracks and crevices. 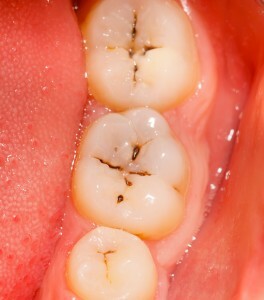 Sometimes, these bacteria cannot be removed, even with adequate brushing, due to the deepness of the grooves. 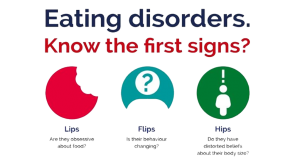 This can become a serious oral health problem and can lead to dental decay. For this reason dental sealants become imperative, because with proper practice of dental hygiene at home, regular dental check ups, and suitable follow-up care, they reduce the risk of the formation of the most common cavities in school-aged children by 80-90%. Today cavities are almost completely preventable, and studies show, especially when combined with fluoride treatments, making the choice to seal your children’s teeth is one of the very best ways to help them battle the threat of early childhood tooth decay. The effectiveness of dental sealants is unarguable. Overall, dental sealants can significantly increase and protect the dental health of your children, which in turn promotes their overall health as well. Talk to your pediatric dentist about recommendations for your child, as each case is specific and varies. The dentist will likely recommend dental sealants for your child’s primary (baby) teeth, especially if they have particularly deep grooves and fissures. It is extremely important maintain the health of your child’s baby teeth, in order to keep them from falling out too early. Children need dental sealants on their permanent molars right when they erupt. 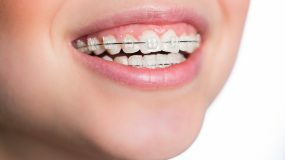 The first permanent molars typically come in between five and seven years of age, and the second set of permanent molars usually comes in anytime between eleven and fourteen years of age. There are also other non-molar teeth with deep pits and grooves that may need sealing. For a procedure that takes only a few minutes per tooth to complete, kids receive on average two to five years of protection against the most common cavities occurring in children. Under the very best circumstances, some sealants can even last up to ten years.